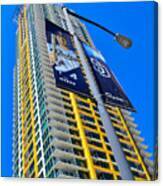 Great shot and rich colors! 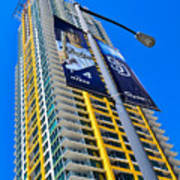 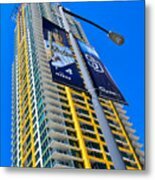 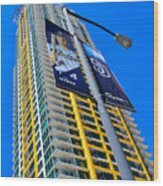 San Diego apartment tower, the Pinnacle, is one of the newest in downtown San Diego. 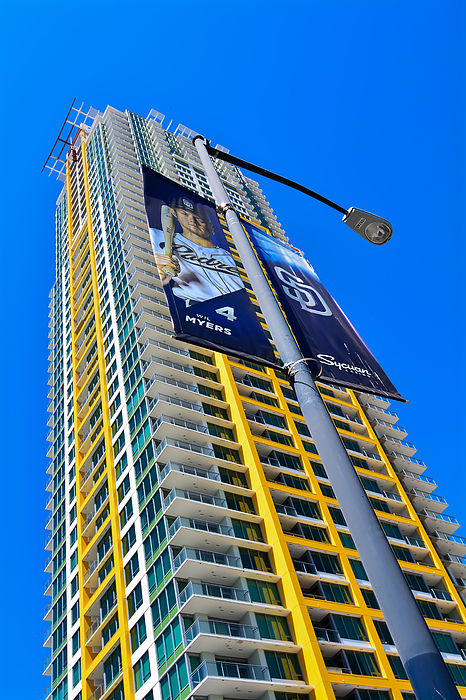 It is still leasing and I covered up the banner advertising the leasing site with the San Diego Padres banner.